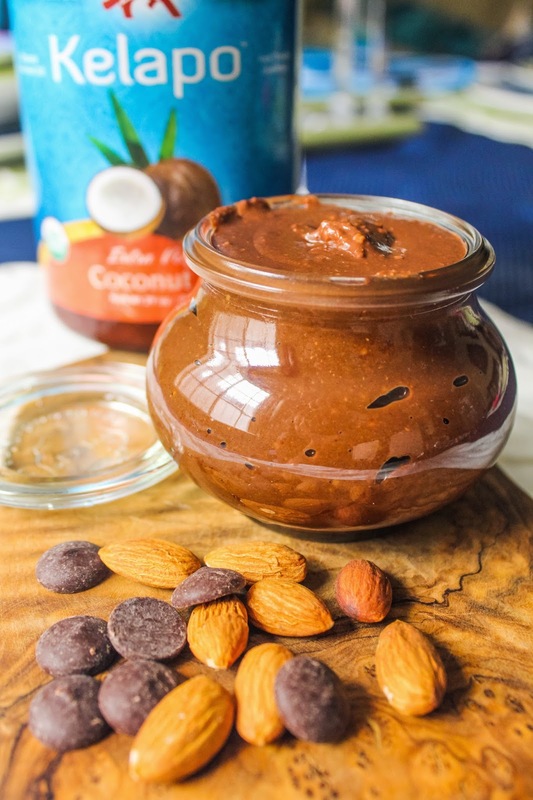 Nut butters are all the rage right now, and for a good reason! When made properly, these butters serve as a phenomenal sweet tooth satisfier that pack a powerful protein punch. You can spread them on an apple or toast for a quick breakfast or add a scoop to a smoothie for a little extra boost. 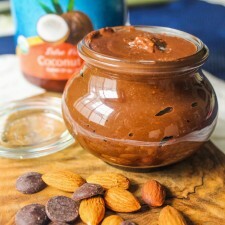 Want to eat a spoonful on its own? Go for it! I don’t judge! Now what if I told you that you can bump up that butter to another level simply by adding one ingredient. Go on, guess what that ingredient is… you guessed it, Coconut Oil! As you may know, coconut oil is packed with healthy fats that actually help keep your tummy from rumbling along with a number of other health benefits… healthier hair, skin, and heart, just to name a few. In a high-powered blender, blend all ingredients until smooth, or the consistency you desire. Since this delicious dish has zero preservatives, it’s best to keep in an airtight container in the refrigerator and bring to room temp before eating. For more delicious dishes, visit Kasey’s Kitchen and follow along on Facebook, Pinterest and Instagram too!